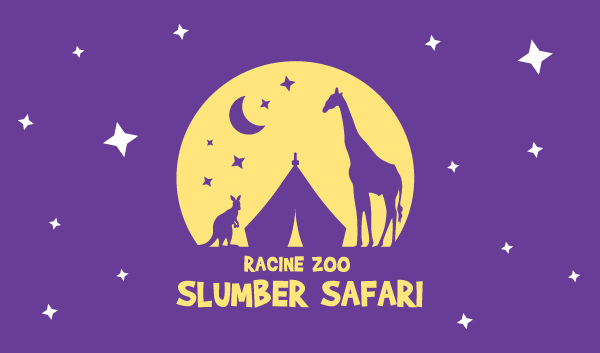 Sleep Under the Stars at the Racine Zoo! Sleepover with the lions, tigers, and bears – if you dare! This exciting adventure has guests enjoying a pizza dinner alongside their feathered friends, a guided tour throughout the Zoo, getting up close and personal with our animal ambassadors in a behind-the-scenes tour, the opportunity to engage in one of a kind enrichment for our animal friends, and of course, ending the night with a campfire favorite – s’mores! After a restful night dreaming under the stars along the shoreline of Lake Michigan, guests will enjoy a continental breakfast while watching the animals enjoy a special breakfast of their own! Bring your own tent or rent one of ours! Guests also can add the option of a behind-the-scenes tour of the Charles and Jennifer Johnson Land of the Giants - seeing our giraffes and rhinos up close and indulging them with a late night snack! Want a more personal experience? Ask about our private Slumber Safaris! Minimum 30 guests. Email education@racinezoo.org or call 262.636.9580. Please complete one form per group and be sure to complete one release form for each participant. All participants must be at least 6 years of age. All registrations must be received no later than the Wednesday prior to the event by 5:00pm. Contact the Conservation Education Department at 262-636-9580 or education@racinezoo.org for any questions.